Engineering Excellence is one of the major success factors for Epiel as a high tech company. That is why we consider our people the most valuable business asset. 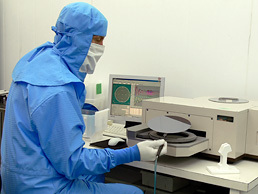 Our leading process engineers have more than 30 years experience in microelectronics including Silicon Epitaxy and deposition equipment design. Our engineering capabilities allow us to provide R&D in order to develop customized processes for our customers and supply non-standard Epi products.